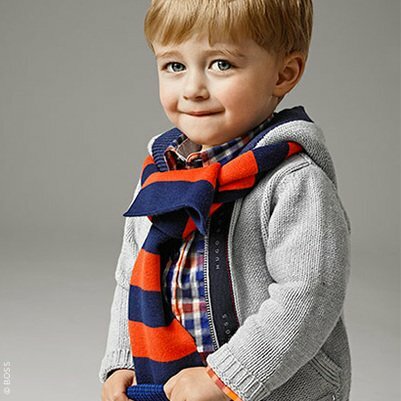 Love this Fall Winter outfit by BOSS for baby boys boys creates a smart style with slim fit tailoring and immaculate attention to detail. Inspired from menswear collection, this beautifully designed, navy blue fine velvet corduroy blazer (98% cotton, 2% elastane) has three pockets to the front, and the breast pocket lining can be pulled up to look like a pocket handkerchief. The inside of the blazer is lined in a printed brown cotton and the sleeves lined with a satin polyester.